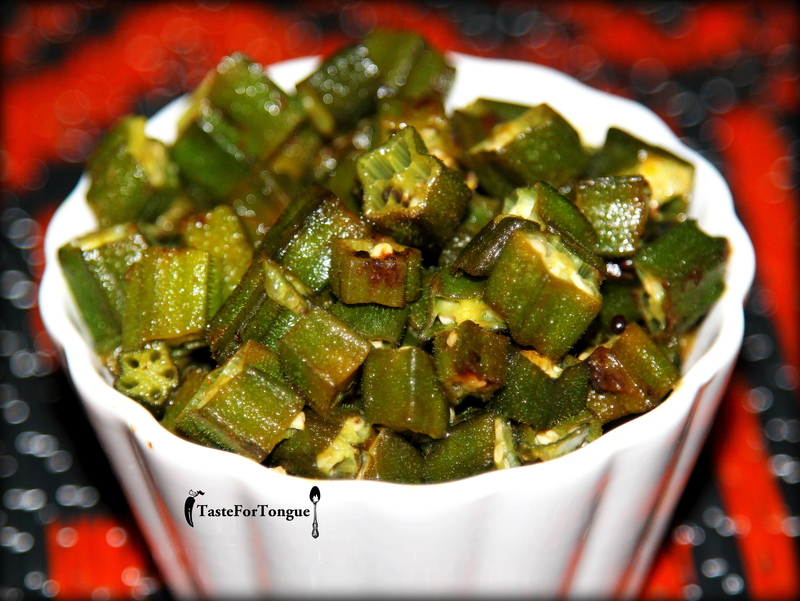 Okra is something which gets along with any kind of recipe I mean you can prepare curry, gojju, sambar, yogurt curry, fry and many more. Thats why I like Okra a lot, with Okra we can be creative and mix and match the vegetables like potato and tomato. Todays recipe is simple stir fry. It takes hardly 15- 20 minutes for cooking. Take a deep pan and add a spoon of oil (I used olive oil for this recipe) add mustard, Urd dal and let it splutter. Add chopped Okra and green chillies and add bit more oil for stir frying. Now add pinch of turmeric, tamarind and salt and keep frying. You can also add onions and tomatoes for flavor, but I prefer this way. Add red chilly powder if you want it to be extra spicy. When the Okra are soft and cooked (in about 15 minutes) Okra stir fry is ready. 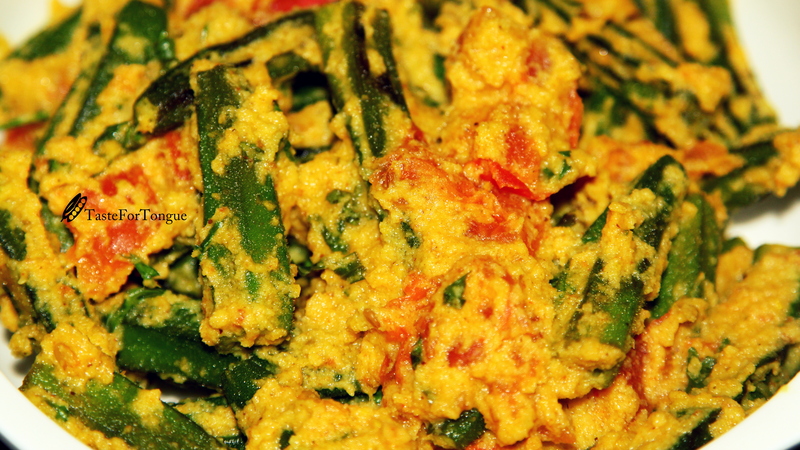 Serve it with rice and sambar or chapathi as side dish.